This week I’m going to digress from my usual comments on the neighborhood brews to bring you to my small hometown in the heartland of America. There, in the house where I grew up, lies my father’s picobrewery (one degree smaller than a nanobrewery). From these sorts of small homebrewing systems we get some of the most innovative and delicious beers in America, which often provide inspiration for local craft breweries. 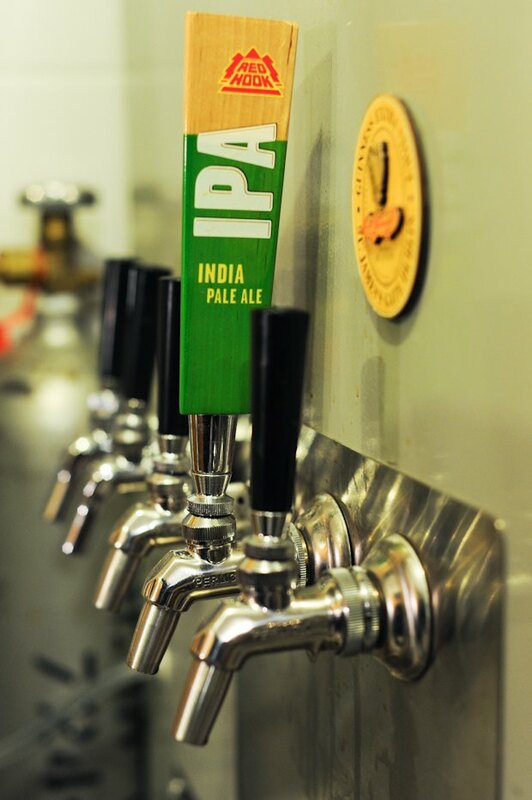 In fact many commercial breweries start as home breweries themselves, including our very own local Braven Brewing Company and Grimm Artisanal Ales. 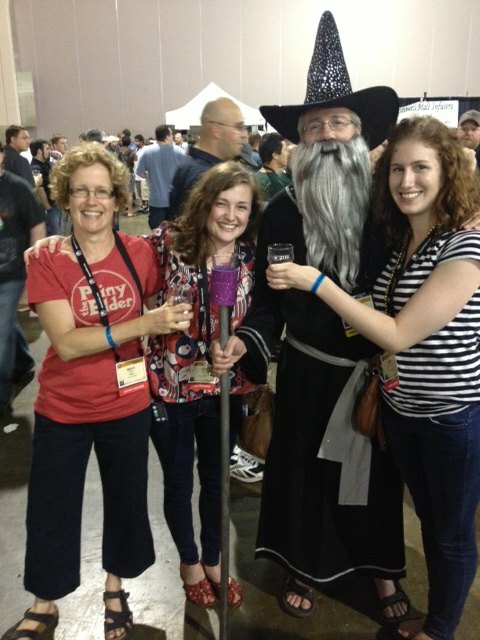 With over 1,000,000 homebrewers nationwide, the obsession has evolved into an underground culture of sorts, with its own magazines and even a national convention, which I attended this past June. In one of my favorite memories from the event I am standing beside my father, John Wicks. The man is dressed in full wizard regalia, including a pointed hat, long gray beard, and black robe my mother repurposed from a Joseph costume (you know, of Jesus fame), adding silver trim. His homemade staff betrays his deeper purpose; a purple koozie sits on top, holding that most precious elixir: a glass of homebrew. Around us mill more wizards, aliens, cowboys, and even some "Amish" folks, all sampling each others' brews. The madness is the 35th National Homebrewers Conference where close to 2,000 homebrew enthusiasts gather to celebrate brewing and taste (not drink) the best beer on the planet while turning the halls of the Philadelphia Marriott into a ginormous beer bacchanalia. Many of the revelers don costumes in support of their brew clubs. Welcome to the best Wicks family vacation ever. 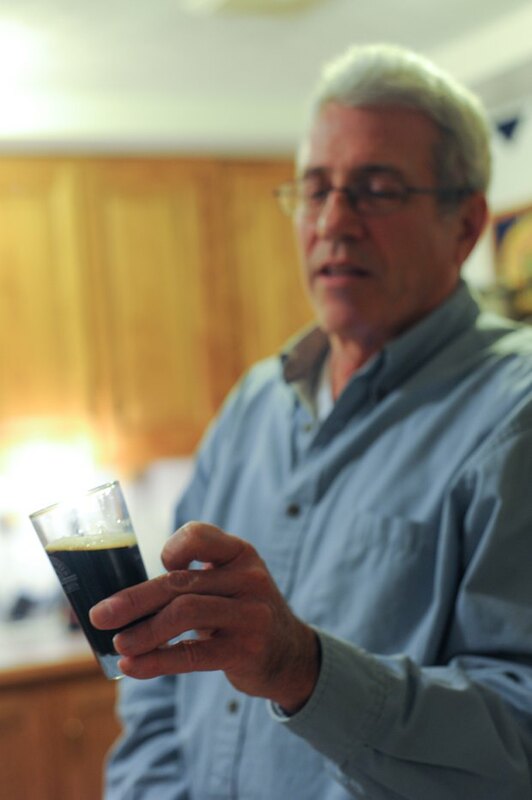 In 1988, when I was still an embryo in my mother’s belly, my father decided he needed to start brewing his own beer. 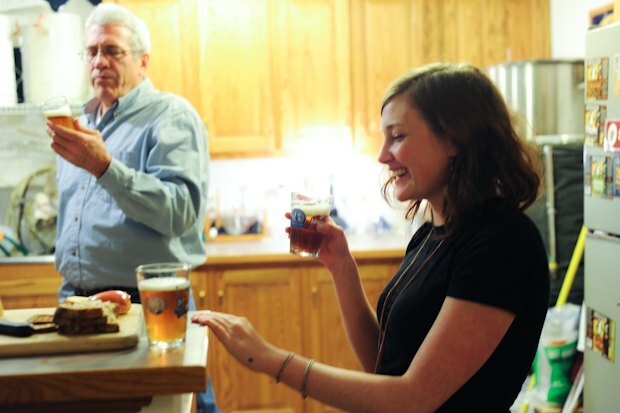 Brewing quickly became a family affair. There is a photo of me at age two, standing on our kitchen counter in a diaper, stirring a pot of homebrew. At seven, clad in flannel nightgowns and no socks, my sister and I joined the family assembly line, sanitizing bottles and filling them with beer for my parents to cap, in the basement brewery built by my father. Last weekend it paid host to Bushwick, when three friends from the neighborhood stopped by to sample beers at J. L. Wicks Brewing Company (as my father calls it). 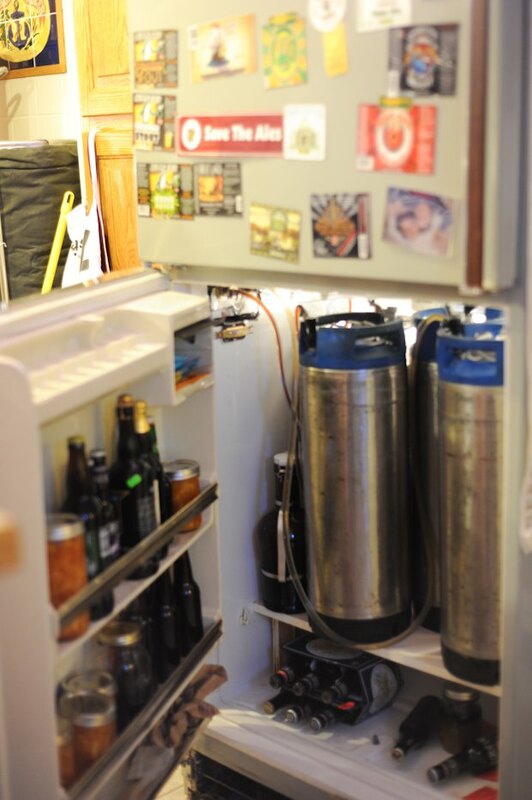 Currently on tap at the Wicks household are no less than seven homebrewed specialties. I lined up at the counter with my fellow Bushwickians, Maria Gotay and Logan and Abe Seaman, to sample a smooth saison, a hoppy Belgian ale, a roasty extra foreign stout, a super-citrusy wheat ale, and a wintery cherry stout. The great conclusion to it all was my father’s clone of Pliny the Elder, the legendary IPA, often called the best beer in America. To be clear, this is not my father’s original recipe. 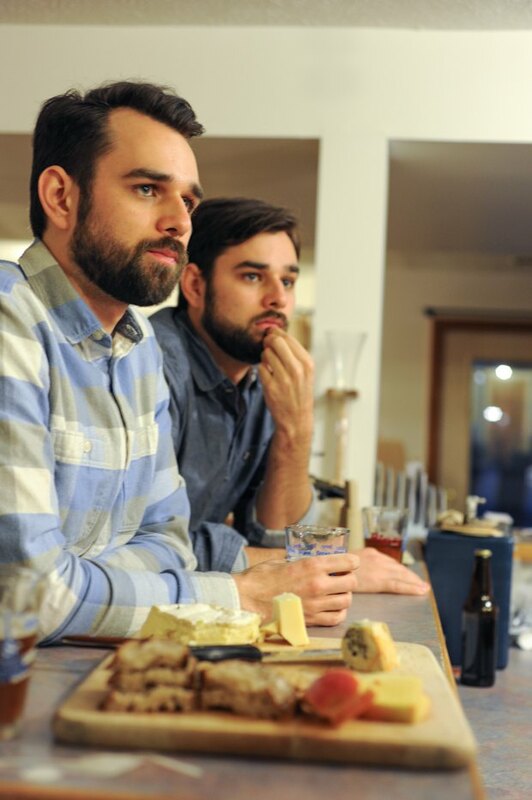 “Cloning” is the term used for copying a commercial brew’s recipe for homebrew use. Pliny is brewed by Russian River Brewing Company (Santa Rosa, CA), a cult classic which is subject to constant over-demand for the commercially brewed stuff. 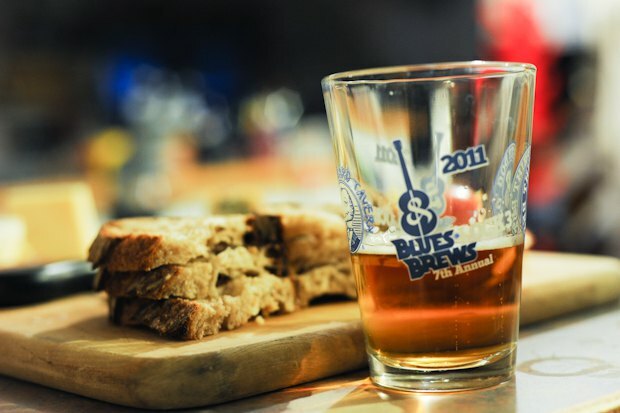 Luckily we were able to enjoy my father’s version of the perfectly balanced brew with some strong blue cheese; even our lovely photographer, Maria Gotay liked it, despite a general aversion to IPAs. In the late 70’s my father blew off his second year of college to backpack across Europe, the Middle East and Asia. Besides colorful stories about getting his pack stolen in Greece and a monkey stealing the towel off his naked body in Kathmandu, his best stories were about beers discovered in England, Belgium, and Germany. When he returned to the US he needed an alternative to the Budweiser standard, leading to some early (and illegal) experimentation. 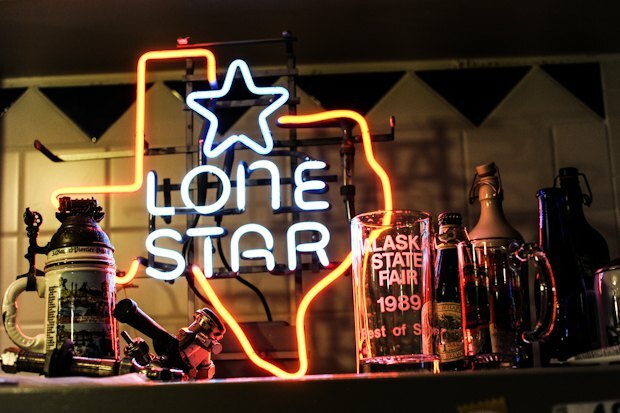 Homebrewing wasn’t legal in the states until 1978, due to latent Prohibition laws (actually homebrewing only just became legal in Alabama this summer making it the last state in the union to jump on the homebrew boat). On October 14, 1978, President Jimmy Carter signed into law a bill legalizing homebrewing and ten years later my family began to reap the benefits. Okay, so this all sounds pretty great, and I'm sure you all are now chomping at the bit to brew your first beer. But, how do you get started? First, pick up a copy of the quintessential homebrewer’s guide, The Complete Joy of Homebrewing, written by Charlie Papazian. Next, hit up Brooklyn Kitchen or Brooklyn Homebrew to get a starter kit or ask someone to help you select the basic equipment you'll need (both also offer homebrew classes if you’re feeling skittish about your first time). You can get a recipe at the shop (it's definitely best to brew a bit before you start tweaking things too much) or look up a clone recipe for your favorite brew online. One of the best ways to learn about homebrew and get connected into the community is to join a club. I had a blast sampling brews at the Brooklyn Brewsers meetings I caught this summer in Greenpoint. Or, check out the slightly more serious New York City Brewers Guild. Both had strong representation at the Homebrew Conference this summer. Now, get brewing! No bias here ;) J.L. Wicks Brewing Company gets 5/5 stars - 1 for the kickass, home built brew system, 1 - for the diversity of brews always on tap, 2 for consistent quality of beer, and 1 for abounding hospitality. Brooklyn Kitchen is located at 100 Frost St in Williamsburg. They are open Mon - Sat 10am - 8pm and Sun 12pm - 6pm. Brooklyn Homebrew is located at 163 8th St in Brooklyn. They are open Tues - Sat 12pm - 7pm and Sun 12pm - 5pm. Bushwick Brews is a weekly column dedicated to the exploration of Bushwick’s finest beers written and curated by brewista Erin Wicks. 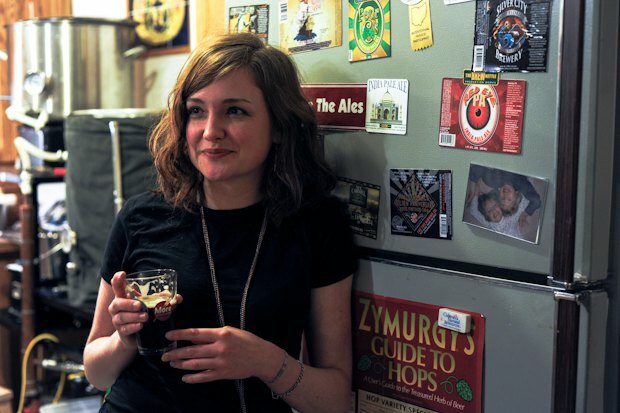 Erin wants to know which brews you’re drinking locally. So let her know where you’re at, what you’re drinking, and hashtag it #bushwickbrews on Instagram and Twitter. She’ll be doing the same!